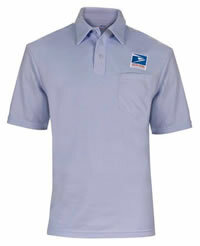 USPS Eagle Logo Clip-on Tie with Buttonholes. 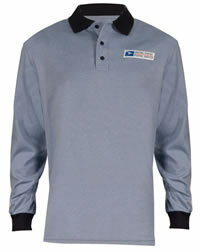 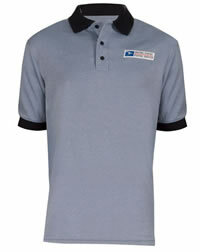 3.75" x 18" - Men's Regular, Navy, Woven Polyester, U.S. 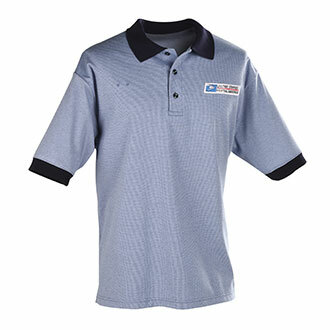 Postal Service Certified. 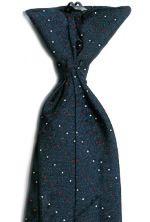 Buttonhole Feature: For a neater and more professional appearance, slide small end of the tie through the loop and button to shirt.